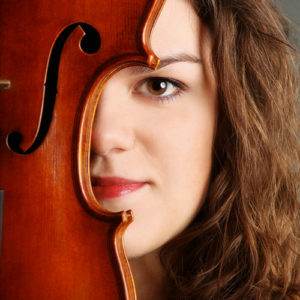 Sarina Zickgraf, born in 1991 in Freiburg, Germany is currently studying with Tabea Zimmermann as one of her few soloist diploma students at the Hochschule für Musik Hanns Eisler Berlin. As a young artist of the Villa Musica Rheinland-Pfalz Foundation, Ms. Zickgraf has performed in chamber music ensembles with world-renowned artists and was recently awarded their “Fellow of the Year 2016.” She has participated in master classes at IMS Prussia Cove and the Summer Academy in Salzburg, and performed for inspirational figures such as Hariolf Schlichtig, Nobuko Imai, Wilfried Strehle, and Jürgen Kussmaul. Since 2016, Ms. Zickgraf has been supported by the Oscar and Vera Ritter Foundation. She was recently invited to be a participant at the 2017 Verbier Festival Academy and, as a passionate chamber musician, is a regular participant at festivals such as Schleswig-Holstein, Bad Kissinger Sommer, and Klavierfestival Ruhr.